The unique “Crossroads to the Caribbean,” sailing with TradeWinds Cruise Club Sint Maarten to the dual island of Saint Martin and Sint Maarten offers tropical beaches, tranquil waters, and enchanting weather. Divided in the middle, the northern area is French, and the southern area is Dutch, creating an amazing cultural experience. When vacationing at this destination, you will love the Caribbean way of life. 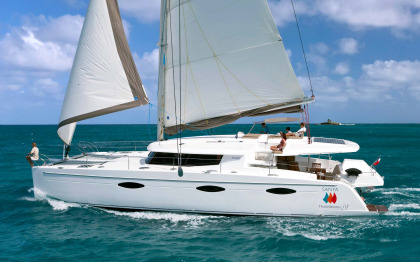 These sailing memberships for sale offer a variety of options with TradeWinds Cruise Club Sint Maarten. 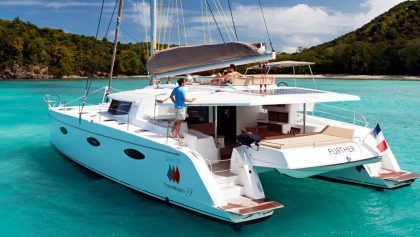 The all-inclusive vacations feature yachts with either three, four or five guest rooms available. 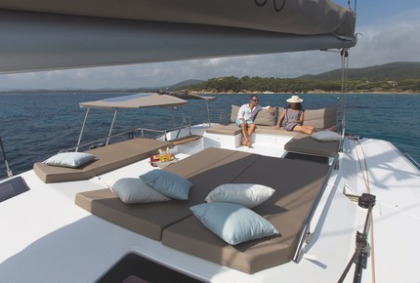 Throughout the day you will sail to different locations where you can go onshore and tour the area. All meals are provided except two dinners when you will be ashore at dinner time. Guests can enjoy cocktails in the evening while watching the sunset and fresh fruit is available any time of the day. Bath and beach towels are also available, and the rooms feature a double bed and private bathroom. There are limited electrical outlets and Wi-Fi is not available except at certain Internet Cafes in port, so embrace the chance to unplug and relax. Amenities available as you cruise include snorkeling and scuba diving equipment for certified divers with an extra fee. There is a fishing pole onboard and guests can fish from the boat in many locations. Meals are prepared on the ship and are sure to delight any palate. The crew is friendly and entertaining, and you will enjoy each minute spent socializing with other guests. While on shore you can visit local shops, and explore the towns. You can enjoy the sunrise and experience white sandy beaches lined with tropical palm trees while searching the crystal clear water for shells and sea life. When choosing a unique vacation, consider the opportunities available with sailing memberships for sale with TradeWinds Cruise Club Sint Maarten. If you are hoping to experience the Caribbean in a different way, a sailing vacation may be just what you are looking for. Swimming in the secluded lagoons, admiring the ocean and beaches, and soaking in the sun offer a dream vacation experience. If you are ready to make memories to last a lifetime – start planning your cruise vacation today. Contact TradeWinds Cruise Club - Sint Maarten Specialist Today!